Located in southeast of Guangdong Province, Zhuhai is known as "the city of hundred islands". Facing the South Sea, Zhuhai connects Shenzhen and Hong Kong to the east. In the south, it is adjacent to Markou on land. Zhuhai occupies a total area of 7.650 square kilometers. Zhuhai holds 730 kilometers of coastline and is composed of almost 150 islands scattered in the South China Sea. The beautiful beach is one of the key features of the city. Zhuhai is one of the first four special economic zones that are opened up to the outside world in China. Located one kilometer away from the city center The Harmony Resort Hotel is perfectly located for the many activities Zhuhai has to offer. 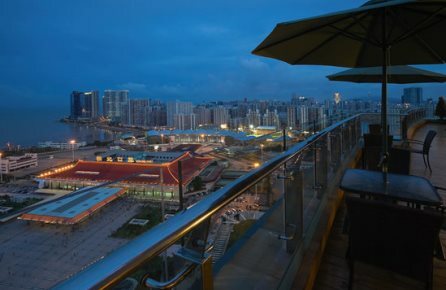 The Harmony Resort Hotel is not only located near the city center but near the famous beaches, the Bangzhansan Forrest Park and the Jiangjunsan Park as well and even Macau is not far away. 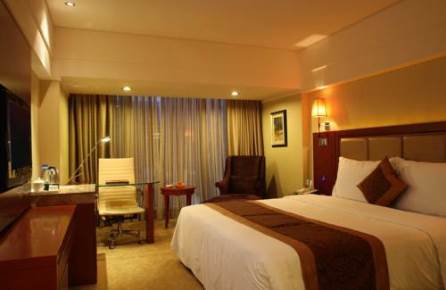 The Harmony Resort has only 50 rooms and decorated with stylish furniture. Other activities near the Harmony Resort hotel are Dreams Water City and New Yuan Ming Palace. Harmony Resort Hotel in Zhuhai! Near the ocean in the vicinity of Yeli Doa Island the Zhujai Emerald Palace Hotel is situated on the right spot in Zhuhai, form the hotel it does not take too much of effort to go to the touristic attraction around Zhuhai. Visit the famous beaches or go to other attractions near the hotel such as Yeli Doa Island where you can find the Statue of the Fishergirl, for shopping go to the next door located Jisco Department Store, not in the mood for laying on the beach, relaxing in the Fragrants Hill Park is great as well. Zhuhai Emerald Palace Hotel in Zhuhai! The Boutique style hotel Huayu Minfu is surrounded by the parks of Zhuhai, of which Paotaisan Park is the smallest but closest to the hotel. The much larger Jiangjunsan Park is still at walking distance from the Huayu Minfu Hotel some other seighseeings around the hotel are the New Yuan Ming Palace and ofcourse the famous beaches of Zhuhai. Interested in gambling or shopping , a daytrip to Macau and Hongkong are possible. 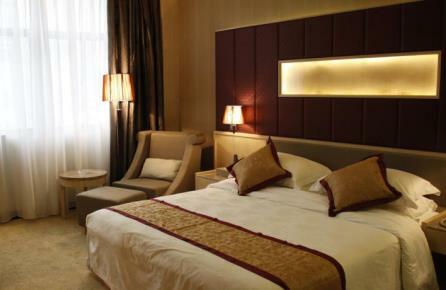 The amenities of the rooms of the Huayu Minfu Hotel are from high standards and will offer you a comfortable stay. 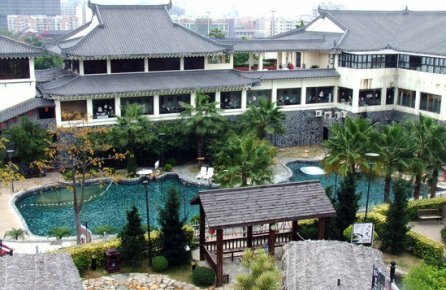 Huayu Minfu Hotel in Zhuhai! The Zhuhai Charming Holiday Hotel is one of the most charming hotels in Zhuhai, the hotel is large but the view from your room, over the ocean makes, will compensate for that, you almost can see Hongkong. The rooms of the Zhuhai Charming Holidays Hotel are specious and well equipped together with all the other facilities of the Zhuhai Charming Holidays Hotel it is very pleasant to go back to your room after a day at the beach or wandering to one of the many parks in the vicinity of this hotel. Zhuhai Charming Holiday Hotel in Zhuhai! Not situated directly at the coast but near the Paotaisan Park the Zhuhai Haopai Hotel is a charming hotel in the city center of Zhuhai. The hotel was built in 2012 and has 22 rooms. The rooms are modern and specious . 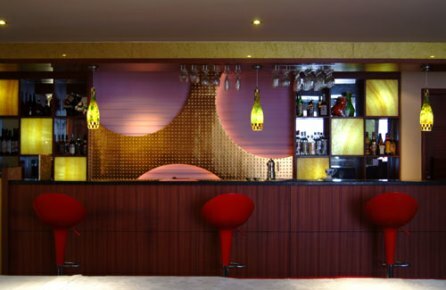 The relax and tranquil atmosphere of the Zhuhai Haopai Hotel make you feel at home immediately. The most interesting touristic atrractions in the vicinity of the hotel are NV Ren Shi Jie, Gongbei Border and Zhuhai Border Underground Shopping Mall. Also the many beaches of Zhuhai are easy to access from the hotel. Zhuhai Haopai Hotel in Zhuhai! JJ Inns is located near the ocean in the vicinity of Yeli Doa Island. 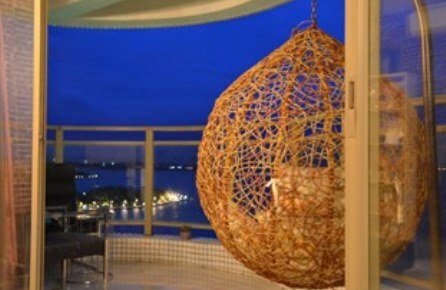 From the hotel it is easy to travel to one of the many point of interests around Zhuhai. Visit the famous beaches or go to other attractions near the hotel such as Yeli Doa Island where you can find the Statue of the Fishergirl, for shopping go to the next door located Jisco Department Store, not in the mood for laying on the beach, relaxing in the Fragrants Hill Park is great as well. 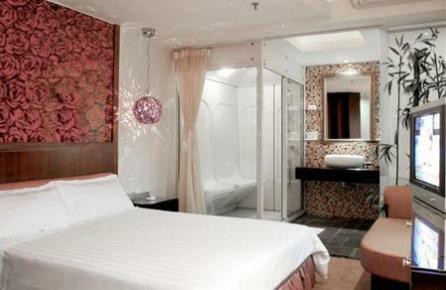 Hotel Kimiko might be the smallest hotel of Zhuhai. The charm of this hotel are not the facilities because they are very basic but is the location and view from the balcony of the hotel. 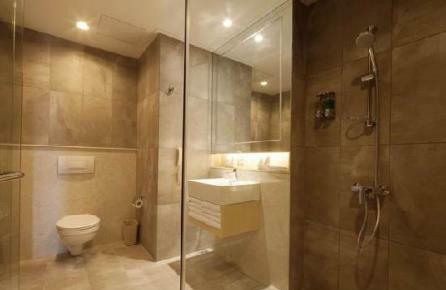 Besides that you can make use of the swimming pool of the building where the Hotel Kimiko is established. The hotel has only 5 rooms and will make you feel at home very easily. Located next to the ocean the view is one to remember. Not interested to laying on the beach the complete day, go an visit on of the parks in the neighborhood of Hotel Kimiko. The Zhuhai Guotai is conveniently located in the Center of Zhuhai, not far away from Macau and very close to one of the largest parks of Zhuhai, the Jiangjunsan park and other advance of staying in the Zhuhai Guatai hotel is that is is located just 3 kilometers away from the duty free zone, shopping is one of the many activities in Zhuhai other activities are visiting the beaches or the parks around Zhuhai. 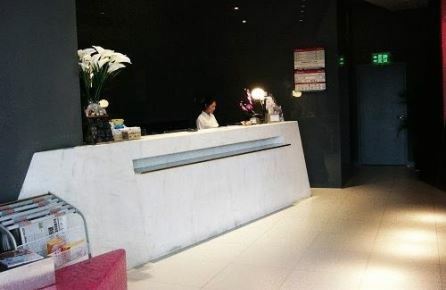 The rooms of the Zhuhai Guotai hotel have all the utilities you might expect from a contemporary hotel and will guarantee you a pleasant and comfortable stay in Zhuhai. Located almost at the border with Macau, the Zhuhai Paragon Holiday Hotel is an excellent choice if you going to stay in Zhuhai. The medium size hotel, 120 rooms, offers guests modern rooms with all the facilities you might expect to have a comfortable holidays. 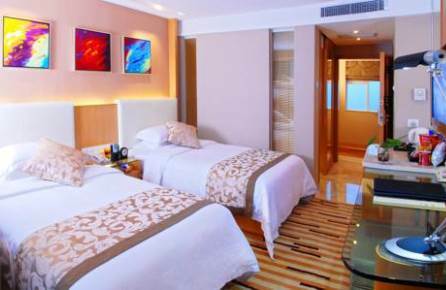 The Zhuhai Paragon Holiday Hotel is a good starting point to explore the many activities Zhuhai has to offer. Ofcourse a visit to the beach and a boat trip over the ocean to see the many islands or just a view examples. Zhuhai Paragon Holiday in Zhuhai!